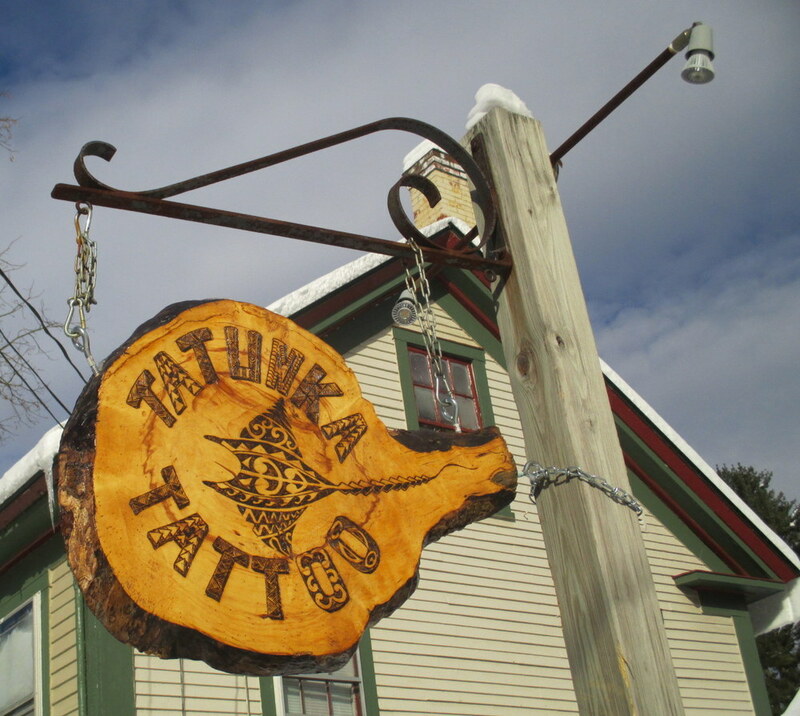 Tatunka Tattoo’s studio is located on the beautiful green in South Royalton, Vermont. 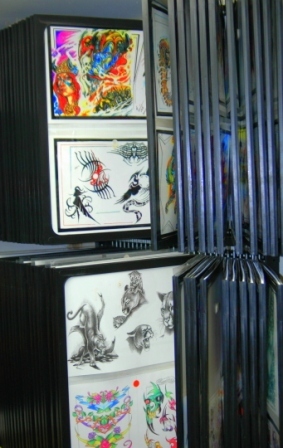 He has thousands of books and art for you to choose from or to spark your inspiration! 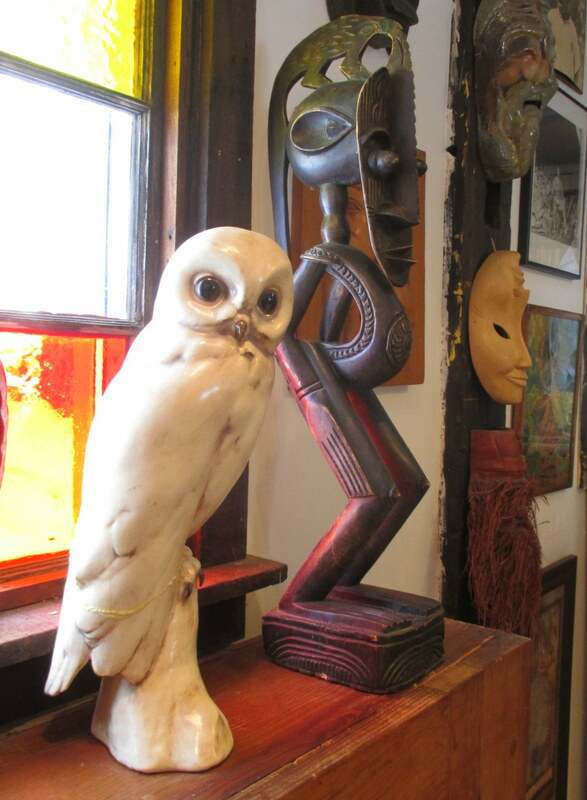 OR, bring your own art and Tom or Lucky will work it out for you. 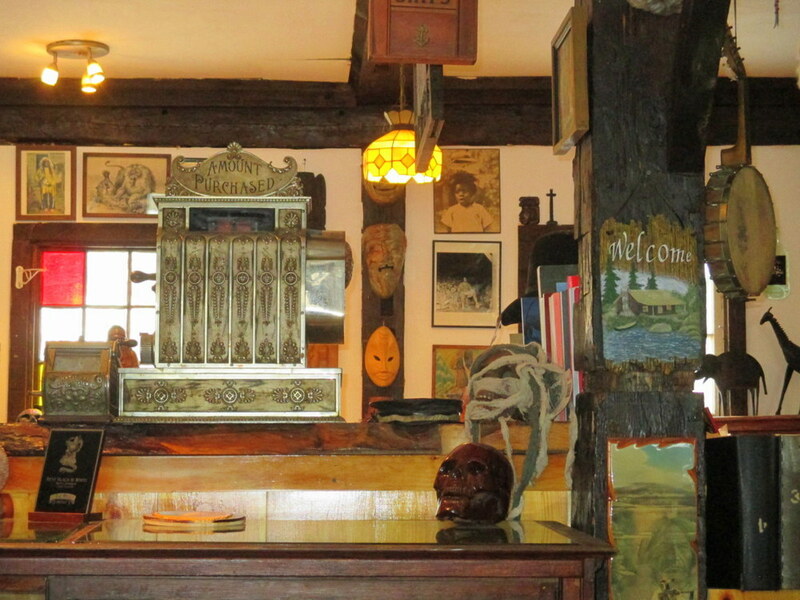 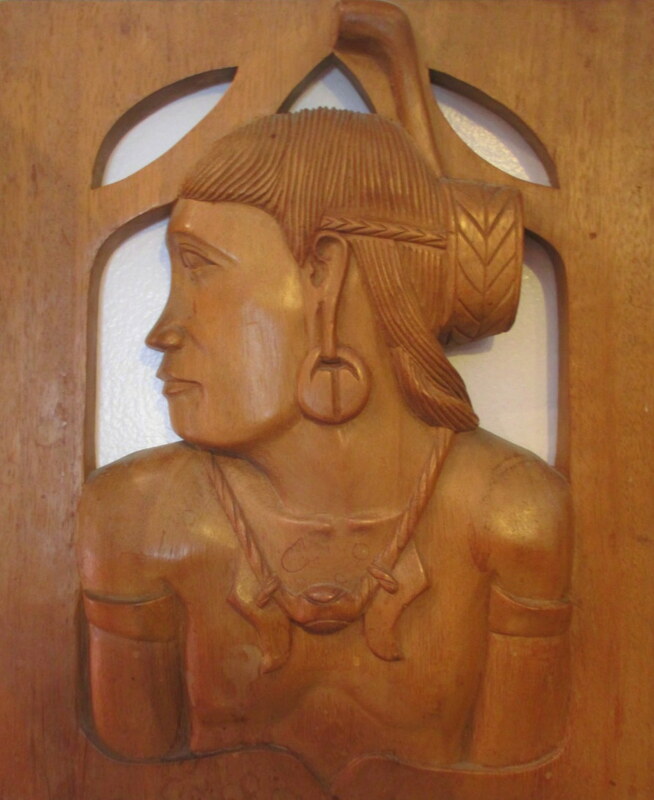 Tatunka Tattoo is not just an artist studio, it's a museum. 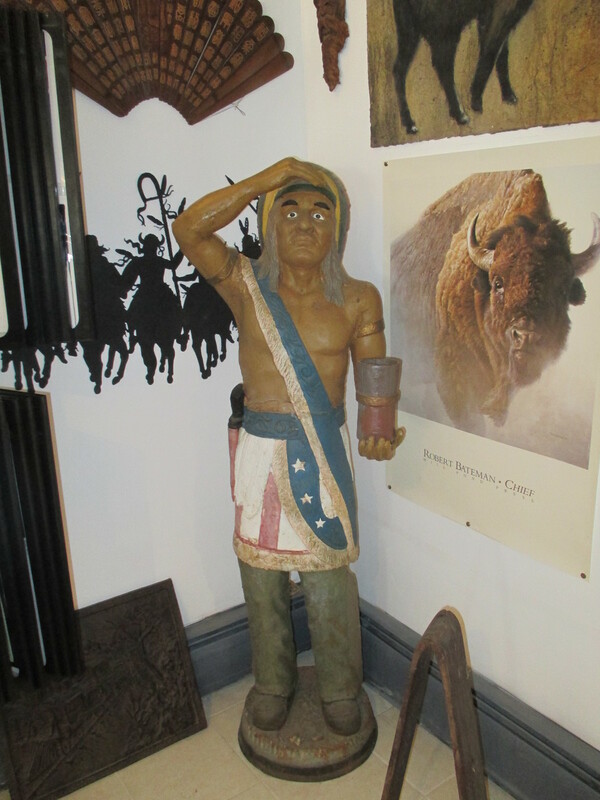 Artifacts and art from all over the world. 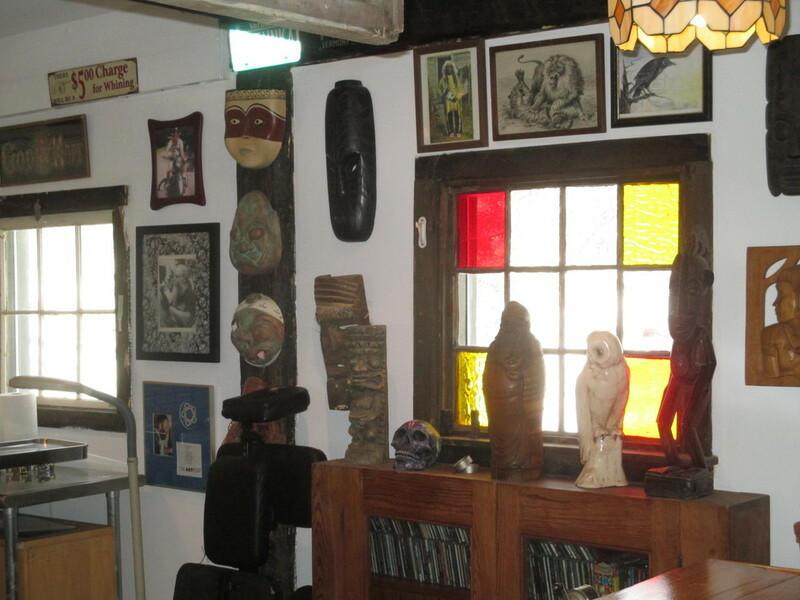 Gifts to Tom from his loyal customers as well as Tom and Lucky’s own art.